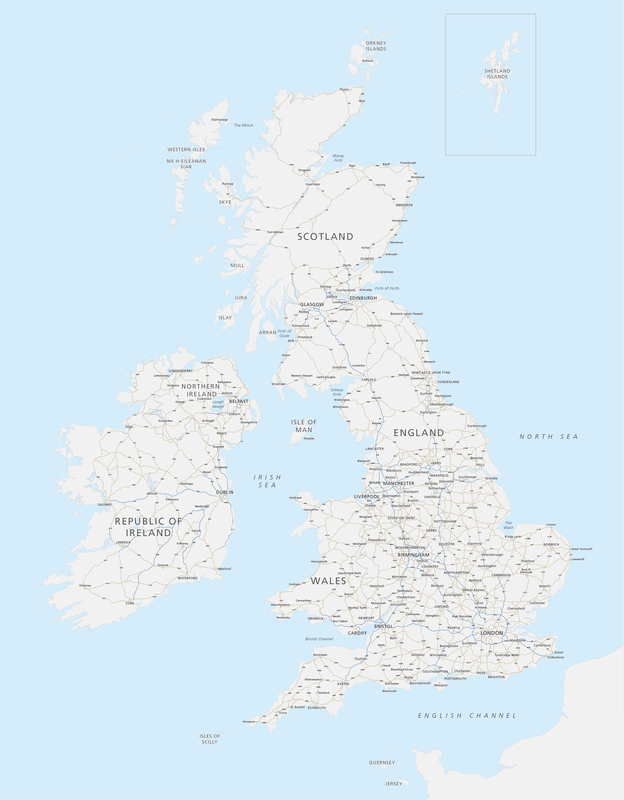 A versatile editable map with our excellent detailed coastlines and the cities, major towns and arterial roads of Britain and Ireland. This is a good base map for many purposes and exceptional value for money. Change the colours and scale it to whatever you want. For hundreds more place names and transport details, go to the detailed political map.